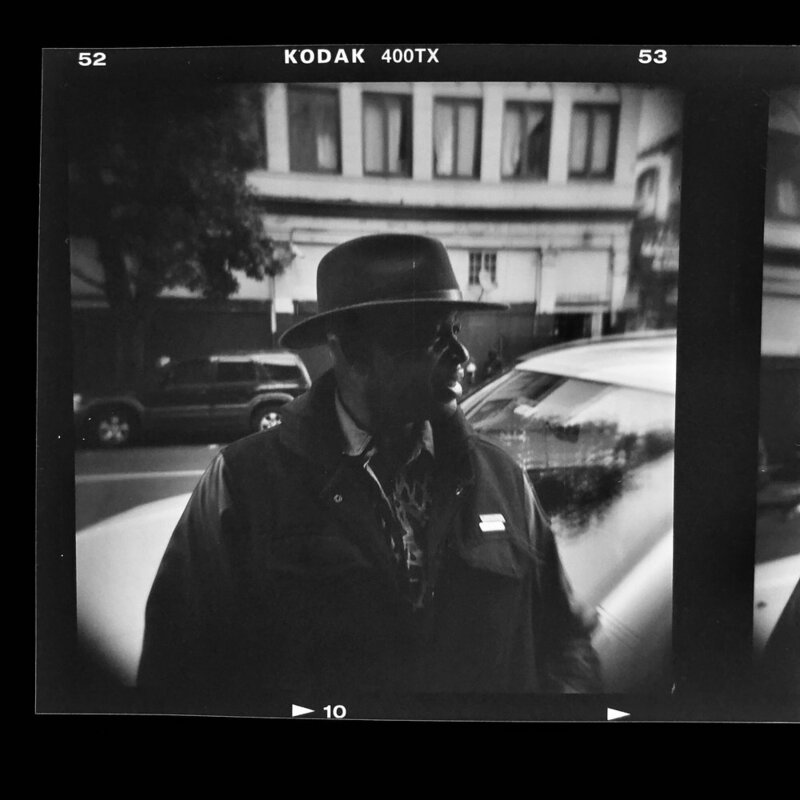 So in addition to my Tenderloin portrait series, and my other street work around SF, I've begun work on a new photo series! This one will be focused on a residential area of Palm Springs, called Blaisdell Canyon. This is in its very early stages. But I think what I'll be trying to do is present the area in a way that conveys an epic sense of emptiness. I still view it as street photography, but on a larger scale. And inverted, in a way. The work I produce with this should be viewed on large silver gelatin prints, not on a computer screen. For that reason, don't expect to see much digital output from me around the photographs, beyond the video below. It shows the first 16"x20" print I made for the series. I'll be focusing on taking more photographs, making large darkroom prints of them, and eventually have them exhibited. 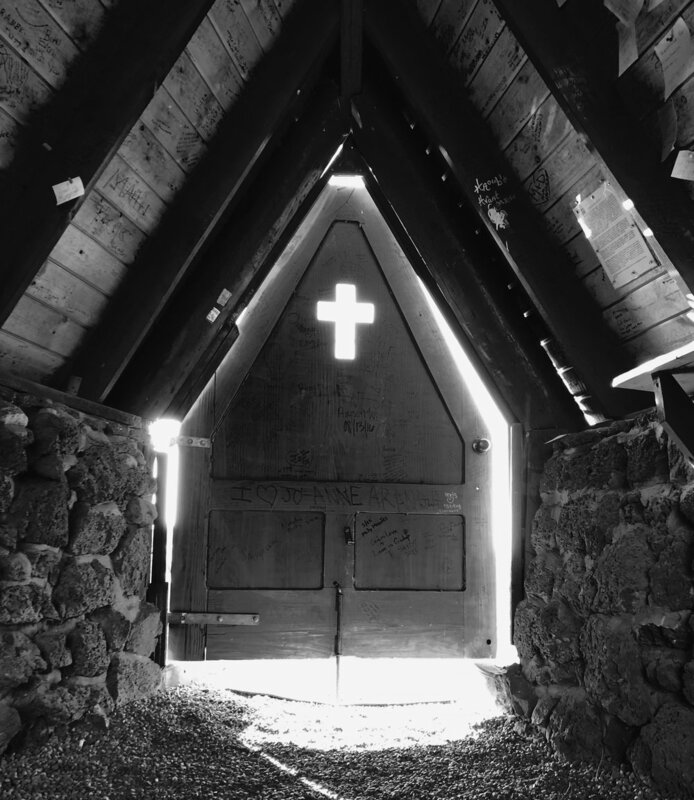 My friends and I stumbled upon this chapel outside Flagstaff, Az., on our way back from the Grand Canyon. 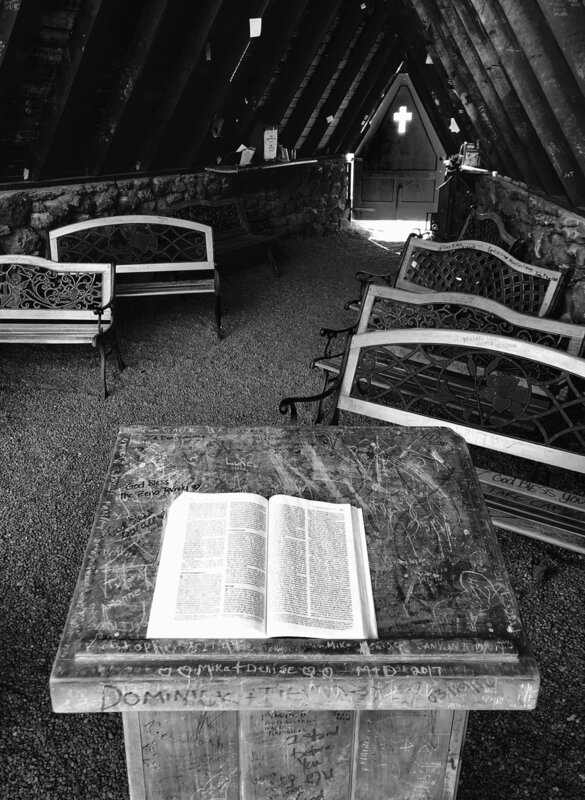 It's called the Chapel of the Holy Dove, and apparently weddings are held there all the time. In fact, there was one held just hours before we arrived, according to a note on the wall! So I've started on a bit of a new project among others -- taking digital images of my film negatives, using my iPhone, on a light table. I'm digitally shooting 35mm color, 35mm b&w, and 120mm b&w film negatives, as well as 35mm slides. I am not sure exactly what I'm trying to do, say or achieve with this, but its been very fun and exciting so far. 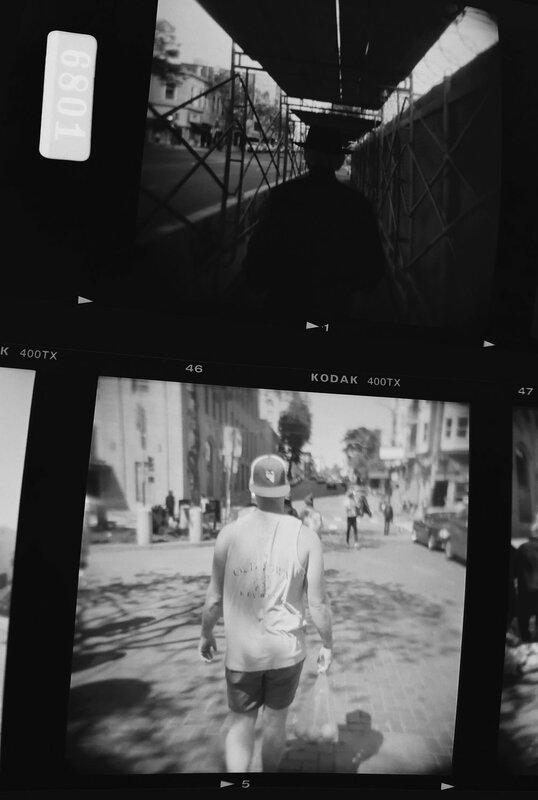 Below are just a few images of my 120mm b&w negatives, shot this year and last around the Tenderloin of SF and Lake Merritt in Oakland. ... from my first roll shot on the Holga. A month or so ago I rented a zipcar and took a drive up to Point Reyes. I had never been there before, it was a beautiful Saturday, and I wanted to spend some time just exploring, walking around and making photos. These are a few of the pictures I developed. Even if you feel settled, and you think you know an area, it's very important to venture out just a little bit, and explore. Often times you don't even have to go that far. It might just be the next neighborhood over, or a few towns above you, or an hour's drive away. Whatever it is, there are whole other worlds out there to explore and see new things. You don't have to pay hundreds of dollars and get on a plane and travel to another country just to experience something new. That's the perspective I have, when I feel like exploring. Point Reyes is only a couple hours from San Francisco, and yet it feels like an entirely different world. There's a calming peacefulness to it. And a sense of it being untouched. It's glowing country. I took this photo on my way cycling into work one morning. From a realism standpoint, it's kind of a failure. For some reason I decided to shoot directly toward the sun, which was bad enough, and I don't remember exactly why. It also doesn't help that I shot it with my Olympus XA, which has a maximum shutter speed of only 1/500th. And, I probably had the aperture set too wide. Nonetheless, I tried to salvage it in post-processing, by readjusting the shadows, contrast and brightness. I think it amounts to an interesting abstract.